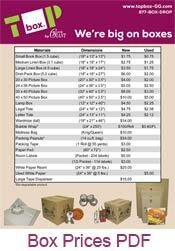 Top Box by Gentle Giant, offers a full array of moving boxes and packing supplies for moves of any size. 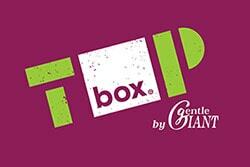 Whether you are moving with Gentle Giant or moving on your own, Top Box can help get you packing! If you are uncertain of your packing needs we have basic packs; pre-set selections of moving boxes and packing supplies for moves ranging in size from studio apartments to large houses. We also offer packing services to ease the stress of your move. Do you have a move scheduled with Gentle Giant?